An informal evening of discovery with Dr. Michael Moloney and Dr. Matthew Ayre and their search for NOVA ZEMBLA. 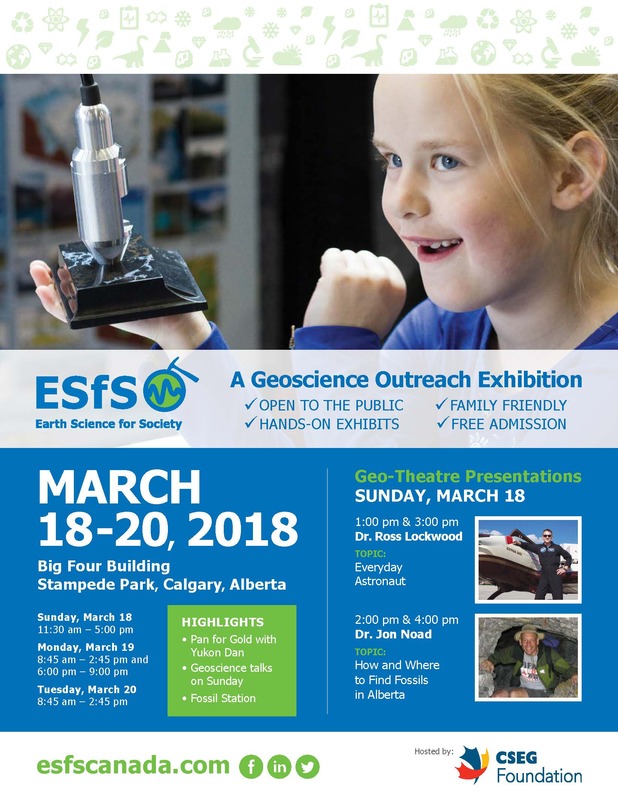 If you're looking for a free and fun activity, come visit the Earth Science for Society (ESfS) Geoscience Outreach Exhibition happening at the Big Four Building, March 18-20. 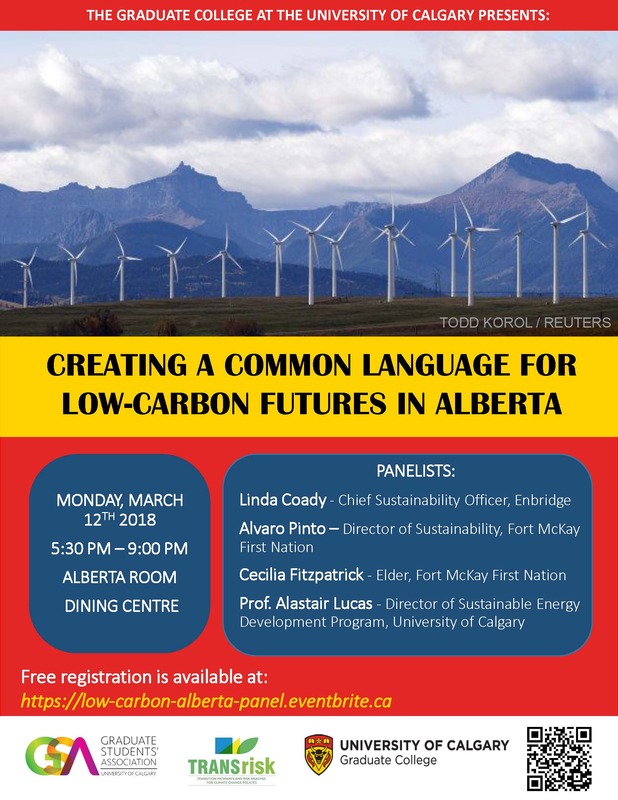 Visit https://esfscanada.com/event/ for more information. See you there! 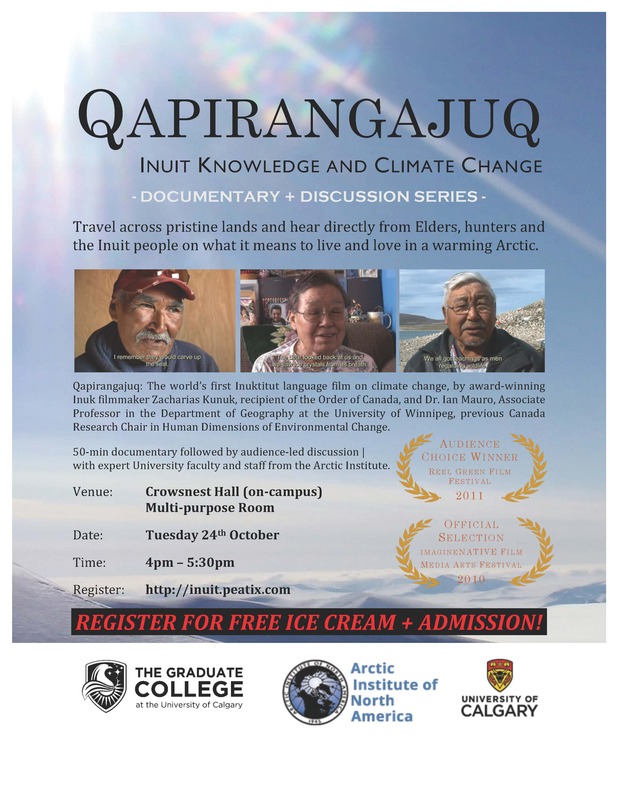 Adventure Canada is pleased to present North to South: Exploring the Arctic through Inuit Art. Be sure to register as seating is limited! A pdf of the event poster is available here. One Health Global Health Seminar Series- Susan Kutz- 'One Health in the Arctic: The Role of Wildlife in Food Security"
The Department of Ecosystem & Public Health (EPH) invites you to the One Health Global Health Seminar Series. Read more about One Health Global Health Seminar Series- Susan Kutz- 'One Health in the Arctic: The Role of Wildlife in Food Security"
Arctic Soundings- A colloquium on the the intersections of Arctic research and art. Read more about Arctic Soundings- A colloquium on the the intersections of Arctic research and art. Join the University of Calgary, AINA and Beakerhead at the ATCO Blue Flame Kitchen to experience Cooking in The Arctic. For more information and to purchase tickets, visit the Beakerhead website.